The Hidden History of Early Childhood Education provides an understandable and manageable exploration of the history of early childhood education in the United States. Covering historical, philosophical, and sociological underpinnings that reach from the 1800s to today, contributors explore groups and topics that have traditionally been marginalized or ignored in early childhood education literature. Chapters include topics such as home-schooling, early childhood education in Japanese-American internment camps, James "Jimmy" Hymes, the Eisenhower legacy, Constance Kamii, and African-American leaders of the field. This engaging book examines a range of new primary sources to be shared with the field for the first time, including personal narratives, interviews, and letters. 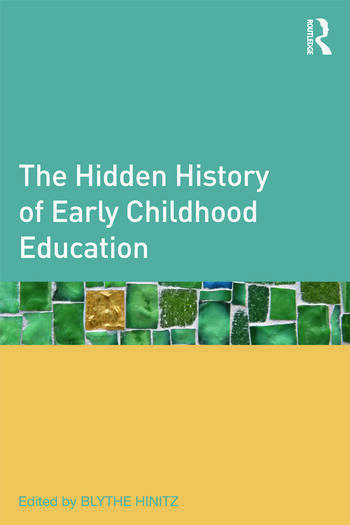 The Hidden History of Early Childhood Education is a valuable resource for every early childhood education scholar, student, and practitioner. Blythe Farb Hinitz is Professor of Early Childhood and Elementary Education at The College of New Jersey.